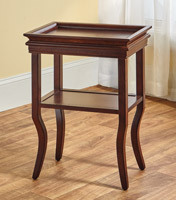 For bedside or next to a comfortable chair, our elegant table has a slip tray for extra space. 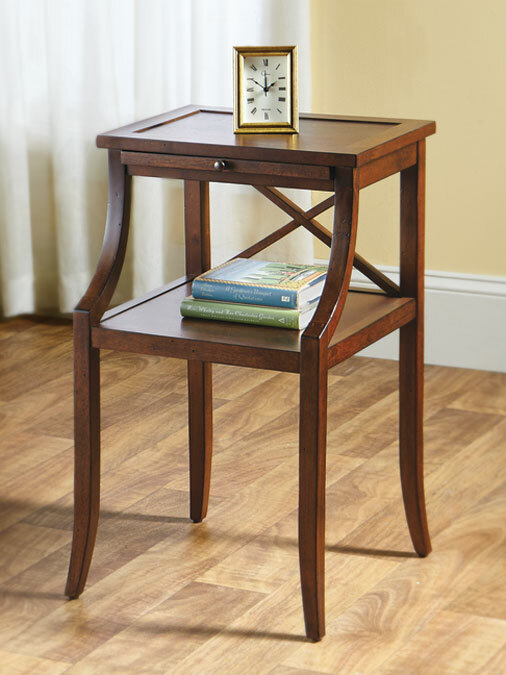 Fully assembled, the table is crafted of Asian hardwood with a mahogany finish. 16”W x 14.5”D x 26.25”H; 19 lbs.